Last season, the team won a record 12 games to become Northwest Conference champions. This year, the team has lost some experienced seniors but gained a lot of talent, and they are working hard to exceed last year’s success, said defender Karen Katzenberger. “The previous coach left a great foundation, so I’m kind of just picking up where she left off. Just enhancing the features that were here and also just bringing in some of my experiences from playing back east,” said Mastropaolo. The team is very motivated to improve together and as individuals. This mindset, combined with the bond that the team shares, is a recipe for success. “I would say [the team dynamic] is a lot like a family ... We all support each other whether it’s in practice or outside and no matter how well you know somebody on the team you can go to them with anything,” said Katzenberger. Both Mastropaolo and defender Paige Vedra were new to the team this year and spoke of how welcoming the current players were when they joined. “I’m most excited to build a deeper connection with my teammates and to learn a new sport that I’ve never played before,” said Vedra. 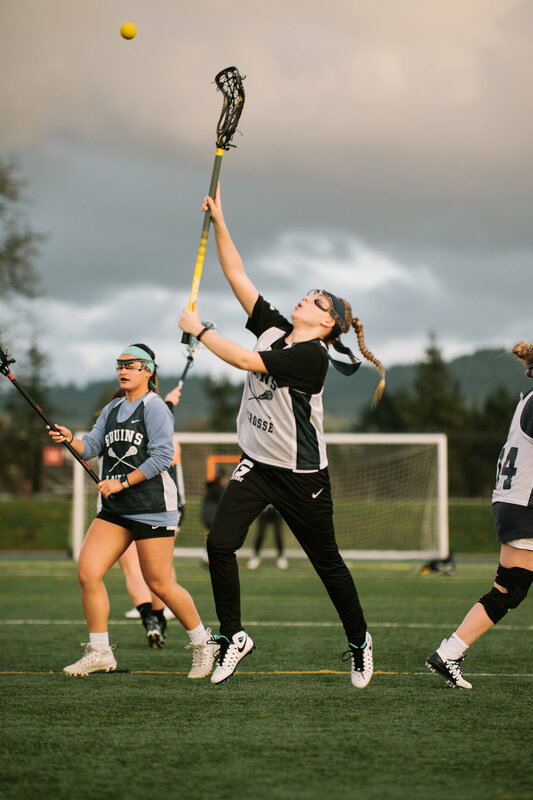 GFU students who attend lacrosse games can expect competitive, fast-paced action with a close-knit group of athletes. New rule changes, including a 90-second shot clock, will intensify an already extreme game. The first home game will be at Austin Field at 11 a.m. on Feb. 24 against Westminster College.